​In September, the KINDL – Centre for Contemporary Art will be showing the new series Berlin Fassaden by the sculptor Asta Gröting. 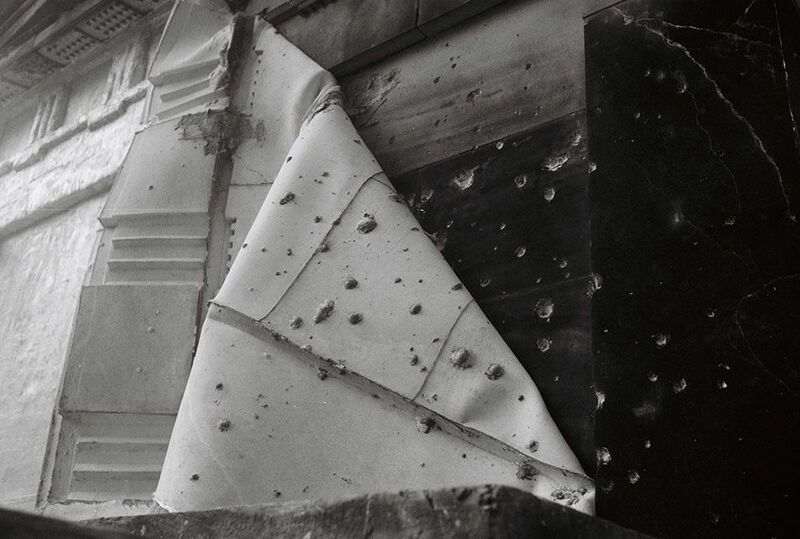 The point of departure for the sculptures in Berlin Fassaden is stories that are inscribed in the walls of buildings in Berlin—facades that still contain traces of the war in the form of bullet holes. Asta Gröting replicates the damaged walls in sculpture by making silicone impressions of them. They function like long exposures that depict the story from the moment of the bullets’ impact to the present time. Dust, dirt, and even graffiti are applied to the material and give these negative imprints, some of which are monumental in scale, an almost painted effect. Human skin serves to protect the body. The bullet holes protrude like scars of history from the heavy silicone skin of the walls and facades. 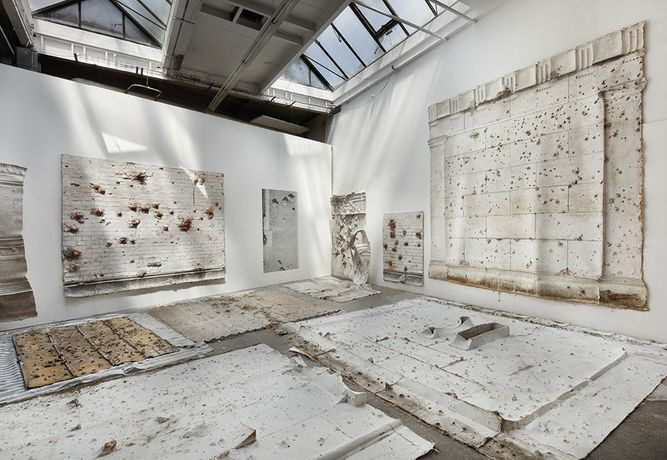 The silicone reconstructs wounds as architectural traces and translates them into abstract pictures. “I want to look from inside these destroyed walls and facades into the world—as if I could see my own face staring back at me.” says Asta Gröting. To have a stone face means to reveal nothing of one’s inner thoughts and feelings. When facades crumble, hidden stories are exposed. “My eyes stare into the bullet and canon holes and the holes stare right back into my own psychic holes. In a bold conceptual strike, Gröting embodies/embalms both trauma and time in a ghostly silicone skin,” Deborah Levy writes about Berlin Fassaden in the accompanying publication.